Pamela Wechsler's enthralling series returns with The Fens, and promises to shock readers old and new. Boston’s chief homicide prosecutor Abby Endicott hasn't had the easiest adjustment to normal life. Her wealthy family cut her off because they don’t agree with her dangerous career choice, her new apartment with her musician boyfriend is not up to standards, and her impending position as godmother is overwhelming. Abby's personal life, however, is about to be put on hold when the star catcher for the Red Sox goes missing on opening day. Abby quickly realizes this is more than a case of one missing celebrity. Soon, another player turns up dead and the frantic search escalates. 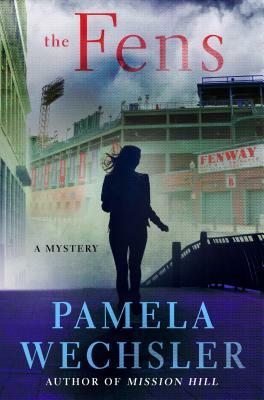 When Abby discovers greased baseballs and mysterious sums of cash, she knows that a lot more than the Red Sox's season is in danger. PAMELA WECHSLER spent over fifteen years working as a criminal prosecutor at the local, state and federal levels. She has served as an assistant district attorney and assistant attorney general in Boston, and she was a trial attorney for the Department of Justice in Washington, D.C.. She has investigated and prosecuted a wide variety of crimes, including: murder, witness intimidation, sexual assault, drug trafficking, stock market manipulation, and political corruption. Pam moved to Los Angeles to work as a legal consultant and writer and producer for network television shows. Her credits include: Doubt; Law and Order; Law and Order: Criminal Intent; Law and Order: Trial by Jury; Conviction; and Canterbury's Law. Pam grew up in the Boston area and is a graduate of Tufts and Boston University School of Law. She is now the author of Mission Hill, The Graves, and The Fens. Currently, she is a writer and producer of the CBS drama Bull.